Use this guide to find out if you are eligible to take money out of your pension from the age of 55. It contains some of the key facts and information you need to consider and ends with answers to some of the most common questions we are asked. As long as you are aged 55 or over and have the right kind of pension then you can take money from it. The amount you withdraw is completely up to you and the first 25% is tax free. As you might have guessed, the rest is taxed as income. It is worth mentioning that taking money from your pension in this way is often referred to as pension access or pension release. You may already have some questions, to which you will hopefully find the answers at the end of this page. The first things to consider, though, are the big three topics: would I? Should I? And how? Tackling a long-standing financial commitment such as a mortgage, loan or credit card. Supporting a family member with a big life event such as a wedding or deposit. Making important upgrades to the house. These are just a few examples and you might have a completely different reason for wanting to take money early from your pension. The big thing to consider is the impact this could have on your life further down the line. To answer this question you first need to balance the importance of what you currently need with what you might need in the future. Taking money from your pension now could reduce your income and therefore affect the way you live your life when it is time to retire. On the flip slide, for many people considering this option, resolving their current need can have a lasting positive impact on their future. It is not an easy decision to make. And that is why many people seek advice from a regulated, independent financial adviser, someone who knows pensions inside out and who will do all of the hard work for you. How do you take money from your pension early? This all depends on the type of pension, or pensions, that you have. Sometimes you can make the arrangements direct with your provider. In many cases, though, you must take financial advice before withdrawing any money early from your pension. This regulation is in place to protect people as, depending on your circumstances, transferring out of certain schemes might not always be in your best interests. We have already helped thousands of clients to withdraw the money they need, and for many others we have recommended they are best off leaving their pension savings exactly where they are. The great thing is it costs you nothing to find out which option we believe is right for you. Below are the answers to a range of other questions that people commonly ask. If you can’t find what you are looking for here then it is probably best to give us a call. Some things are easier to explain over the phone, rather than trawling through lots of text on a screen, and that is what we are here for. Can I release money from my pension if I am under 55? Generally you must be aged 55 or over to release money from your pension. In very rare circumstances, such as extremely poor health, then you may be able to take money from your pension before you are 55. Can I take money early from all types of pensions? You can take money from any private pension and most employee schemes, although final salary (also known as defined benefit) schemes may need to be transferred to a personal scheme first. 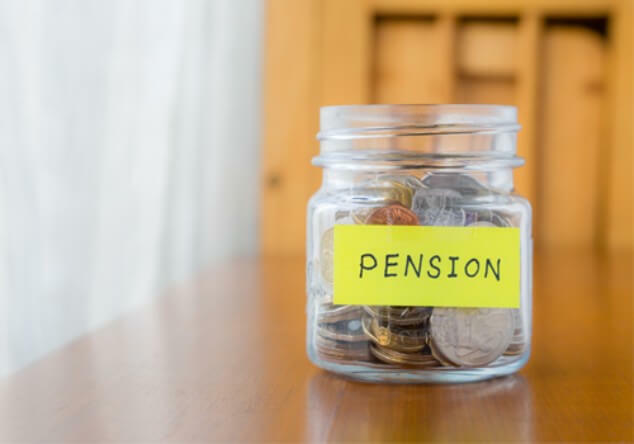 You cannot use pension release to take money early from the state pension or unfunded public sector schemes which cover organisations and professions including the NHS, teachers, armed forces, civil servants, firefighters and the police. Is there a cut-off age, after which I cannot take money from my pension? No, as long as your savings are invested in a pension that allows you complete access then you can take money from your pension whenever you want to. Am I going to have to pay the tax man? You can take the first 25% of your pension pot tax free. After that withdrawals are taxed. The amount you are taxed depends on which tax bracket you fall into once all of your income sources, including any money that you take from your pension, have been added up. Aside from any tax that you might have to pay, most companies will charge you to arrange and manage any withdrawals of money from your pension pot. Many adviser firms will also charge a fee to review your circumstances and make a recommendation for your pension. Others, will only charge a fee if you ask them act on their recommendation. And you won’t have to find the money for this fee, it will usually come out of your pension. When do I have to seek financial advice before taking money early from my pension? If you have built up more than £30,000 worth of contributions into either a company final salary pension (also known as defined benefit schemes), or a pension with a guaranteed annuity rate, then you must take advice before withdrawing any money early from these types of schemes.